England captain Harry Kane has suffered a "significant lateral ligament injury" to his left ankle. Club and country have been sweating over the striker's fitness ever since he was withdrawn in the second half of Tottenham's Champions League win over Manchester City on Tuesday. And the news does not appear to be good for the 25-year-old, with his club painting a potentially bleak picture in a statement on Thursday night, with no timescale yet to be given. 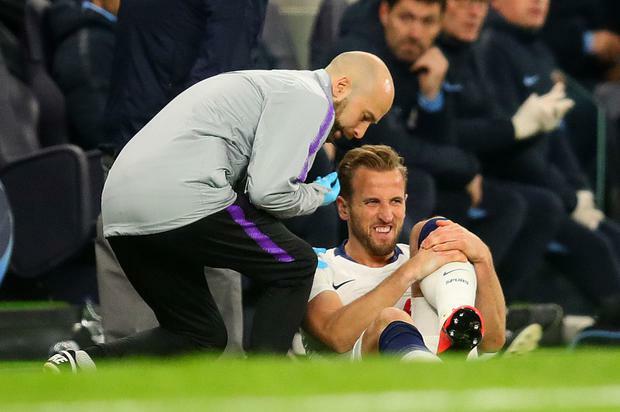 "Following assessment over the past two days, we can confirm that Harry Kane has sustained a significant lateral ligament injury to his left ankle following a challenge in our Champions League quarter-final, first-leg win against Manchester City," Tottenham said. "Investigations are ongoing and he will continue to be assessed by our medical staff over the coming week." Kane vowed to come back "stronger than ever" on Wednesday, in the wake of his second injury of the season and a fifth in two and a half years. "Gutted to go off injured but every setback is a chance to come back stronger than ever. Big finish from the boys to go on and win!" he wrote on Twitter. That big finish involves trying to complete the job against City, with Spurs 1-0 up going into the second leg of their all-England quarter-final, while the club remain in the hunt for a top-four finish. Internationally, Kane was set to lead England into this summer's Nations League Finals in Portugal. It remains to be seen what, if any part, he will now play for the Three Lions. There could be good news for Spurs with regards another player, though. They have confirmed that Dele Alli has fractured his left hand, but have yet to rule him out of this weekend's clash with Huddersfield and, as a consequence, key battles to come.